Submit your items either by snapping a photo, forwarding them to your unique Receipt Stash email or by uploading via desktop. 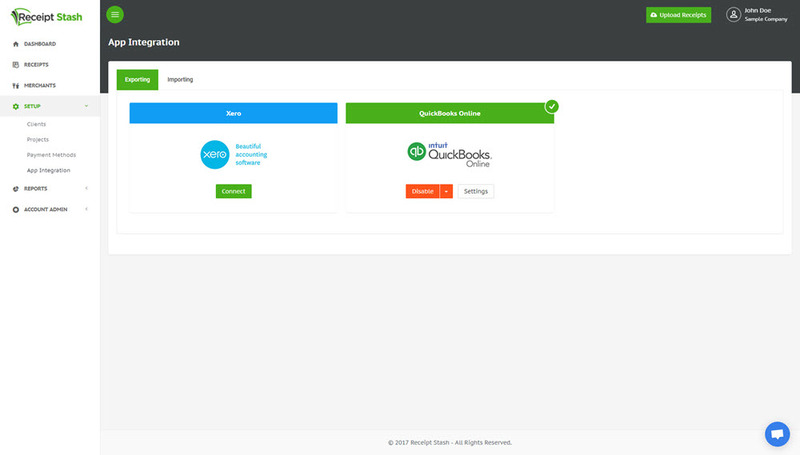 Publish your expense data to your integrated cloud accounting platform in a number of different formats. See results within seconds. Upload items to your account using a number of different submission methods. File uploader - upload files directly via the file uploader in your web dashboard. Email in - have your suppliers, clients, or employees email receipts or invoices directly into your account by using your unique Receipt Stash address. 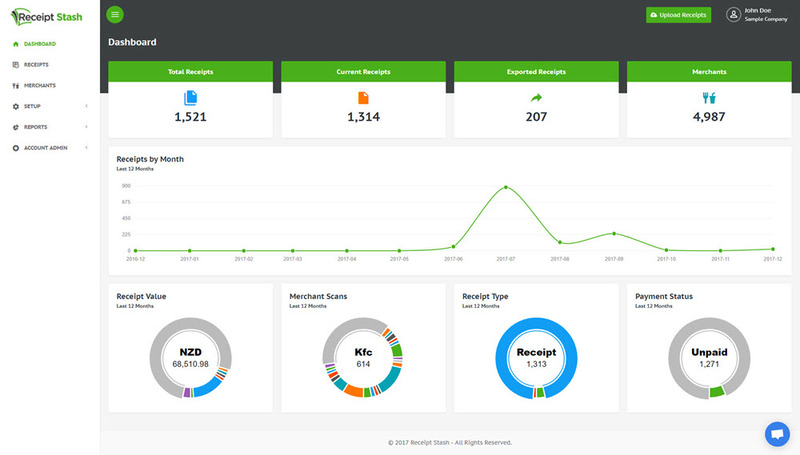 Receipt Stash automatically extracts all the essential expense information from your receipts and invoices in less than 5 seconds. Create your own rules to automatically assign data to incoming items such as nominal codes, tax rates and more. 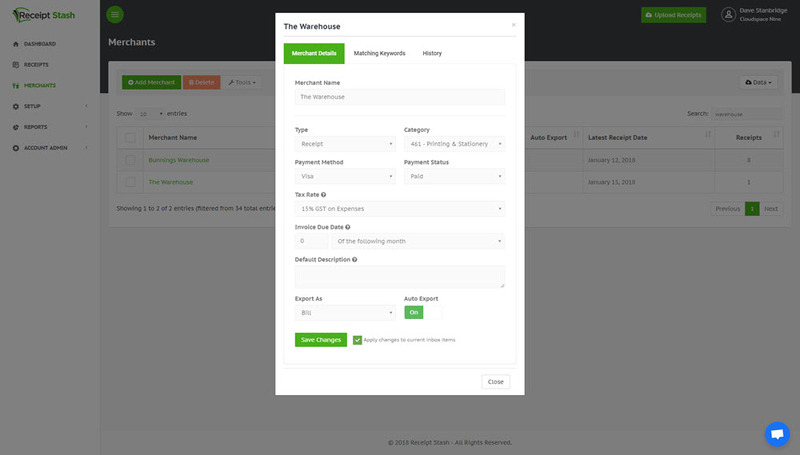 The expense information, along with the receipt file is uploaded to your online Receipt Stash account in real time - ready for you to view, edit and send to your accounting platform. Create supplier rules to automatically categorise and dynamically assign data to your items. Create lists of supplier matching keywords to catch variations of supplier names - creating consistent naming conventions and avoiding duplicate records. Flexible logic rules allow you to determine which items can be automatically exported to your accounting platform, and which ones you would rather eyeball first. Link your Receipt Stash account directly with major accounting platforms such as Xero and QuickBooks Online and publish your expenses with the push of a button. 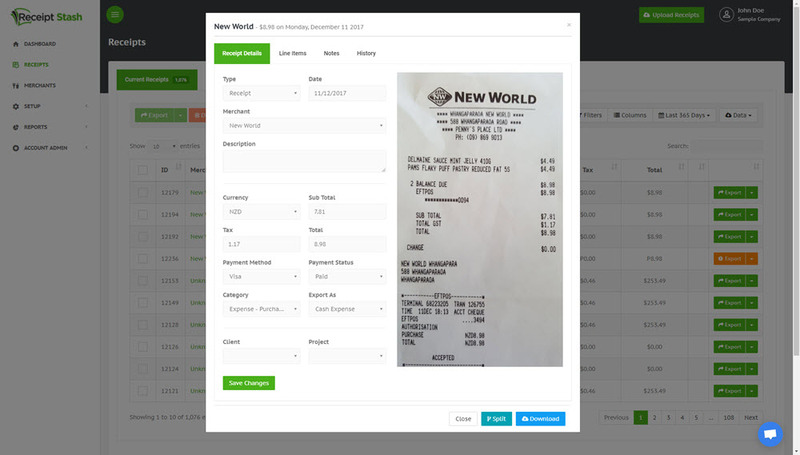 Automatically convert foreign currencies based on the amount and date of the receipt. 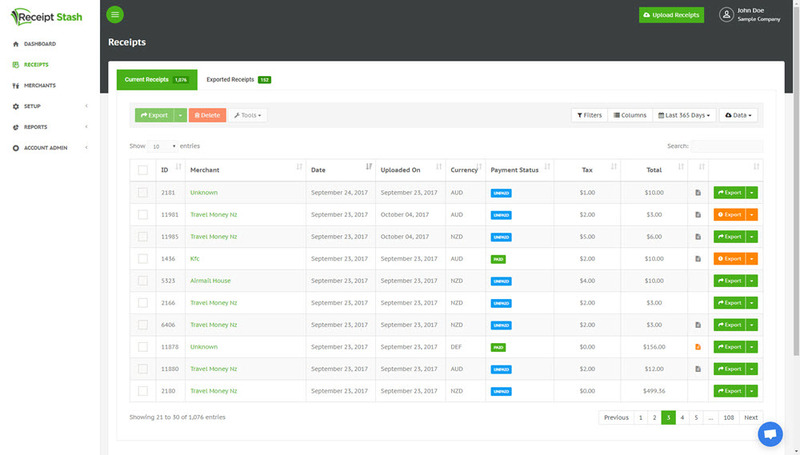 On-charge expenses to your clients by using the receipt to create an invoice addressed to your client in your accounting platform. Create custom CSV export templates for uploading into accounting platforms or third party applications. Set different access and permission levels for your users, for both the mobile app and web dashboard, ensuring that the right people have access to view and submit the appropriate items. Give access to employees, management, and other stakeholders - with confidence. Multiple access levels means your data remains secure without imposing annoying barriers to use that are experienced with other systems. Say goodbye to the old days of stashing your paper receipts and invoices in old shoe boxes. 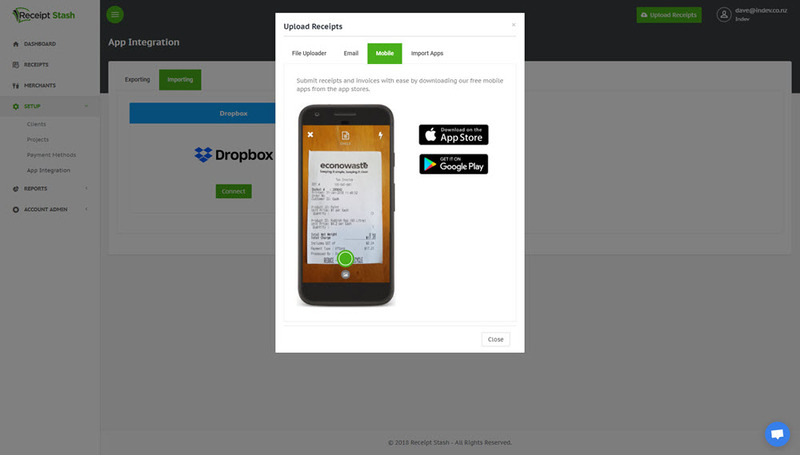 Your receipts are stored securely in one place, in the cloud, so there's no reason to despair when you've lost the original receipt copy. Create your own custom view of your items, filter and search, download and email them - Receipt Stash provides a complete central archive for you to manage your receipts and invoices effectively. Create custom CSV export templates for uploading into accounting platforms, third party applications, or for additional analysis. Gain insights into your spending with an easy to view dashboard overview. Delve deeper by viewing a number of more detailed reports, which can also be drilled down further. All reports can be easily exported for you to share with key stakeholders.